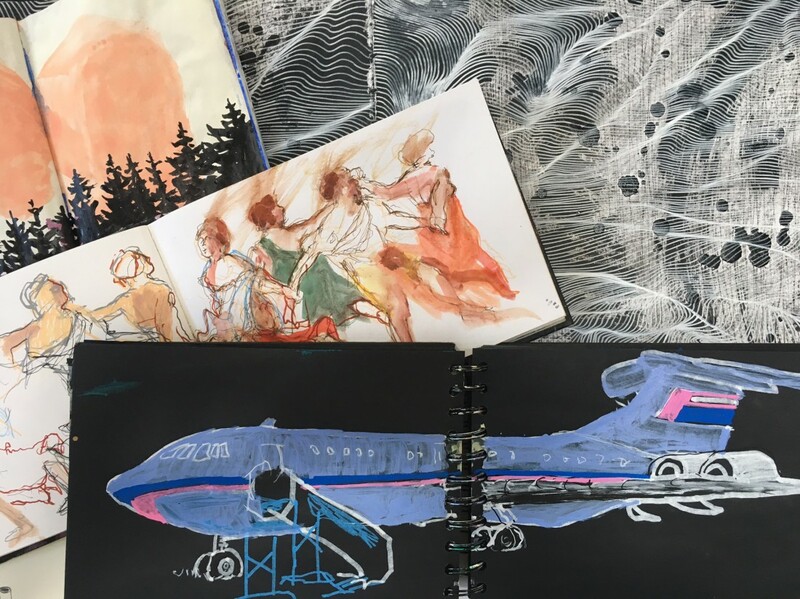 The sketchbook is a place for impossible experiments alongside the ordinary and observed. With 100 artists' sketchbooks to handle and explore, this exhibition is a journey through the diversity of drawing and the sketchbook itself, and an invitation into the most intimate studio space of the artist. Originated by Rably Drawing Centre in 2005, Sketch is a biennial touring exhibition of artists' sketchbooks, selected from an international open call. The 2017 edition was selected by Tom Hammick (painter and printer), Peter Randell-Page RA (sculptor), and Gill Saunders (Senior Curator (Prints), Word & Image Dept., V&A Museum). We’ll take the experience and possibilities of the sketchbook further through other activities and displays, including work influenced by Dorothy Wordsworth’s journals by Sarah Corbett and Zoe Benbow made through collaboration with Lancaster University English Department and the Wordsworth Trust. Join us on 22 November for the exhibition opening, where we'll announce the winner of a Lancaster Arts Sketch commission.